Active in late 1920s to mid 1930s. Birth and death dates unknown. 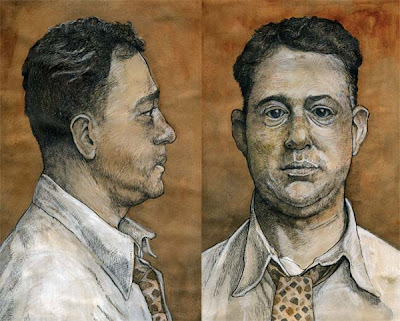 Samuel Levine remains mostly a mystery in the annals of Jewish criminal history. The paradoxical legacy he left behind was both his reputation as a consummate professional hit man, and his devotion to his family and his religion. Born in Toledo, Ohio, Levine’s family moved to Houston St. on the Lower East Side , where a whole new world was opened to young Sam. His youth was a formative time, making new friends over on Grand Street, and who were to play a major role in his life. They were young Jewish kids like him, bored with school, and looking for any diversion they could find from it. They formed an early bond, comrades and buddies who looked out for each other. The small circle of friends gave each other nicknames in an effort to gain a little bit of a gang affinity for each other. These boys needed to look out for each other, as a walk in the neighborhood was not always a safe one. Irish kids picked on Jewish kids all the time with name calling, shoving, spitting, and embarrassing them by pulling down their pants to see if they were actually circumcised. The Italian kids from a few streets over were not any friendlier. Some of his new friends included little Benny Siegel, whom they called ‘Bugsy’ behind his back due to his hotheaded nature. Benny was a big kid and a good guy to have on your side when things got rough, but only the diminutive Meyer seem to be able to could control him for some reason. The nickname Red, was the obvious choice for Samuel, the freckled faced, red headed boy from Toldeo. Levine’s timeline is a blurry one. He seems to of fade in and out on a regular basis in relation to his involvement with the leading Jewish mob, slipping through historical cracks. He was background player who did his job and did it well. The foot soldier you could count on every time. He gained the trust and loyalty from his old friends, who had elevated to crime bosses in New York’s 1930s underworld. Meyer Lansky and Lucky Luciano handpicked him on many occasions for a variety of jobs. During prohibition years, Red was a key rum runner, and Luciano described him as "the best driver and hit man I ever had". He proved his worth when he dressed up as a policeman along with three other torpedoes, humorous slang term used at the time for hit men, and one of his biggest assignments helped solidify his position within the orgnization. Levine was a key triggerman in the assassination of Salvatore Maranzano, another victim of the purge of old time ‘Mustache Petes’ initiated by Lucky Luciano. They were the old time Sicilian leaders, stuck in their old world ways with no vision for the future, and they disliked Luciano's affilation with the Jews. Maranzano was one of a long list of old Costa Nostra who wanted nothing to do with them (“They don’t even eat pork!” he once balked) and who would have no part in Meyer and Lucky’s proposed new order. A country wide series of disposals of other old Mustache Petes followed Maranzano's killing, insuring the new mob’s grab for power. Jews and Italians had come together in New York’s underworld after years of feuding, and it extended on a national level; a better business option than killing each other, brokered by Meyer Lansky, Bugsy Siegel, and Lucky Luciano. The National Syndicate was born. What made Levine such an anomaly was his devotion to his faith as an Orthodox Jew. Under his fedora, he always wore a kippah, also known as yarmakule, or skullcap in simpler terms. Despite his ability to dispose of his fellow man in a cool, calculated, and professional manner, he was deeply religious. He was devoted to his wife and kids back in Brooklyn, and kept a kosher household. He had one specific request when it came to taking contracts. Whenever possible, he tried not to kill anyone on the Sabbath. If he had no choice and had to make a hit on a Friday evening or on a Saturday, he would put on the talith (prayer shawl) over his shoulders and pray. Its hard to imagine how Levine balanced both these worlds internally on a spiritual level during his time as a hit man, but Yom Kippur must have been an arduous day for him, twisted reasoning through atonement for the life he led. Perhaps all this criminal activity finally caught up with Red’s conscious at some point. His end doesn’t seem to be a matter of police record. There is no mention of him when much of Murder Inc. and their surrounding factions was rounded up and put away by the end of 194o. He simply faded into the background and was never heard from again at some undetermined point. Perhaps his loyalty paid off. The trust and respect he had gained from Meyer Lansky, going back to when they were just street kids watching each other’s backs, allowed him to walk away to a life of peace and prayer. characteristic red hair in an earlier documentary..he was probably still living then...the documentary said: "Red Levine was the best, (or the worst) second was a long way off.."No one wanted 'Red' Levine after them.. I have been told by my family that Red Levine is actually my great, great uncle on my father's side. Never spent anytime trying to find out if it was true or not. Apparently he was at my father's bar mitzvah.